LoveNokia | Latest News and Information about Nokia Mobile: Just 1 day to go! 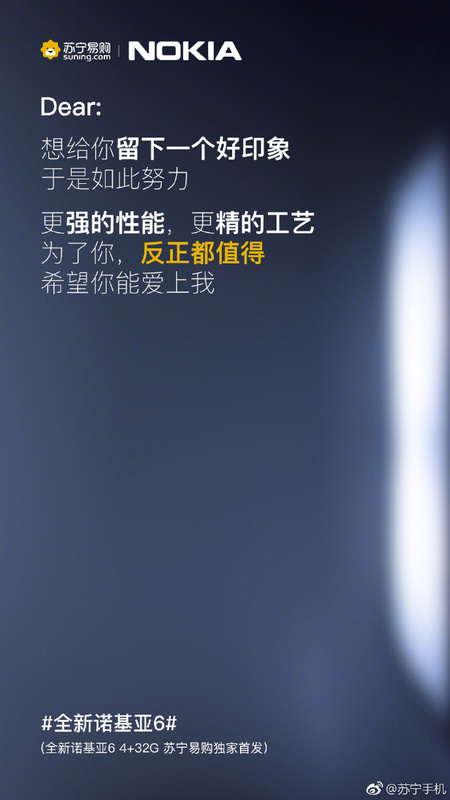 Nokia 6 (2018) to launch tomorrow in China. Here is the Sneak peek of the device. Just 1 day to go! Nokia 6 (2018) to launch tomorrow in China. Here is the Sneak peek of the device. 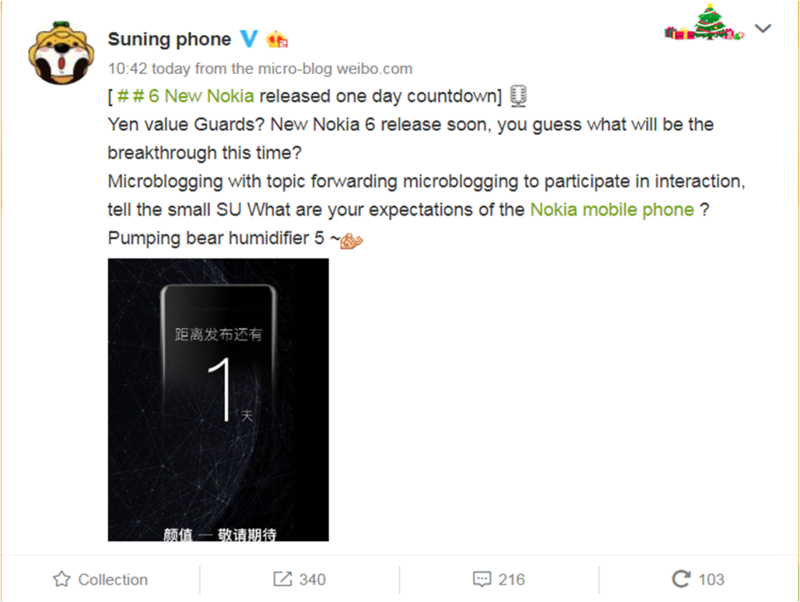 Just in a previous post I shared the teaser of Nokia 6 (2018) posted by Chinese retailer Suning that also mentioned about the launch of new Nokia 6 on 5th January. 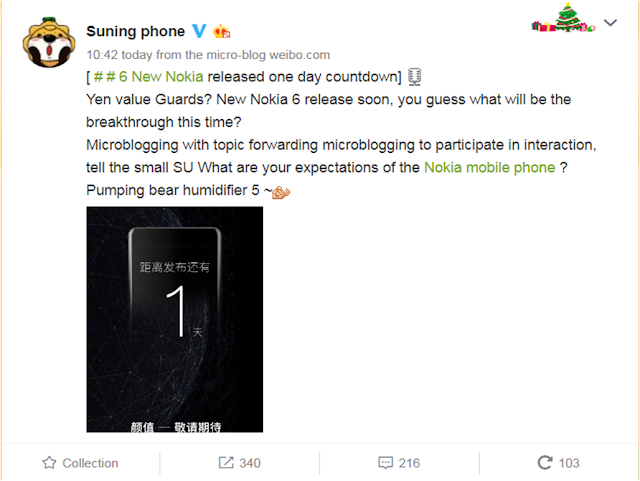 The Chinese retailer Suning has now posted a new teaser that gives a sneak peek of the Nokia 6 (2018). 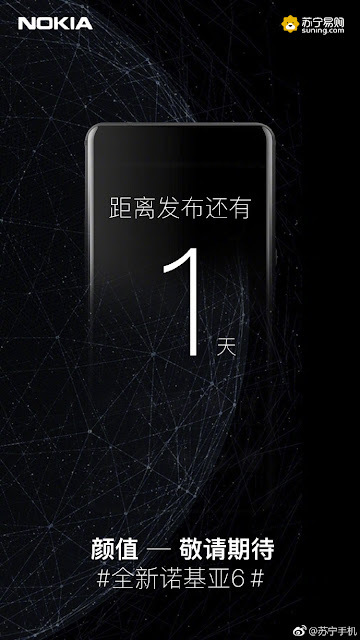 The teaser shows half Nokia 6 (2018) with number "1" written on the image stating the remaining days of launch. The official post on weibo also clearly says that the new Nokia 6 will be releases soon with just 1 day to go.